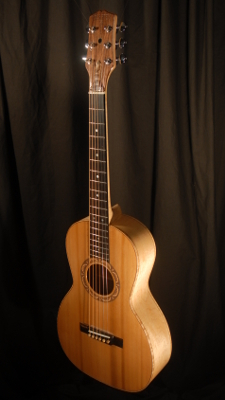 This is a 12 fret Parlour sized flat top steel string guitar. 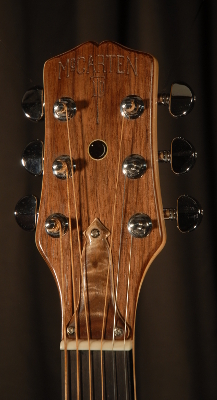 Despite it's small size the voice is quite full and rich. 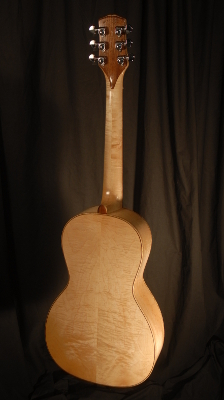 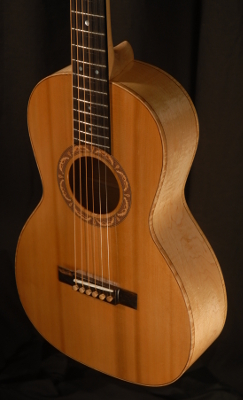 This example has figured Maple back, sides, and neck. 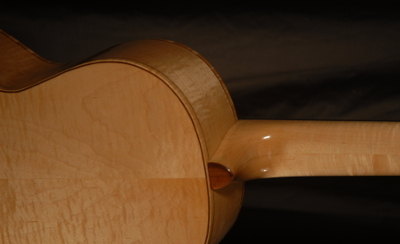 Binding, rosette and other accents are a combination of Curly Maple, Ebony, and Walnut.